We have arrived at a fantastic but slightly cranky hotel in Villefort after a wonderful day's walking in the Cevennes. We were greeted by the proprietor in the bar on arrival. He's both owner and chef, ex Paris, has been running the place for 27 years. Cooking smells are coming up the stairs and I for one am having the menu gastronomique. 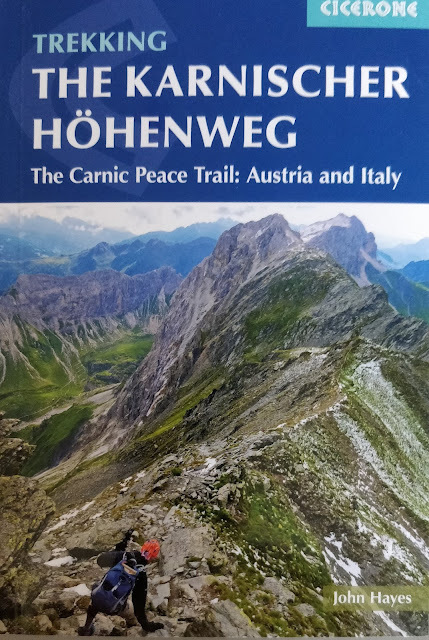 We have walked 30k with 900m ascent and over 1000m descent. The weather has been much better than yesterday and the freezing cold north wind has veered to a softer westerly. 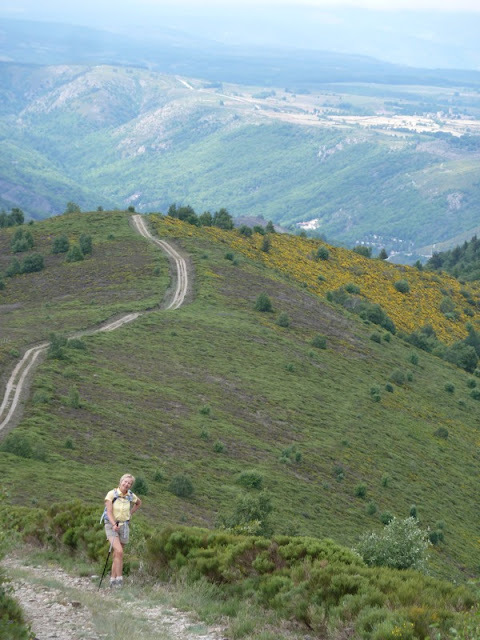 First stop this morning was the boulangerie for food, then along a road for a bit out of Pont de Montvert, then up a steep winding trail past little hamlets and farmsteads till we were away from the upper Tarn valley and high on heather moorland, walking over granite. The ground was good on the feet, soft and peaty, and it reminded me of Wales. We kept steadily climbing up and, after a while, miraculously joined the Tarn again only this time it was the very upper reaches. 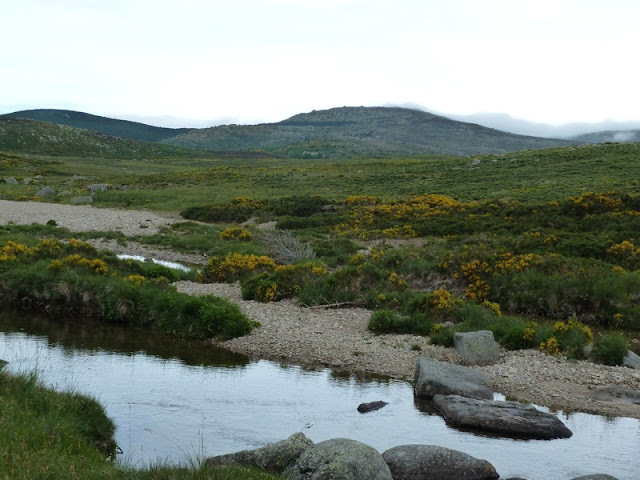 A small weir had allowed a wonderful stretch of lazy headwater to build up in a shallow moorland valley high high up near one of the Tarn's sources (evidently not the one we saw the other day). A sign instructed fishermen to ensure they only took one trout per day and only then if the tail was over 25 cms. We followed the stream for a while and had the sun been out I'd have definitely stripped off for a swim. 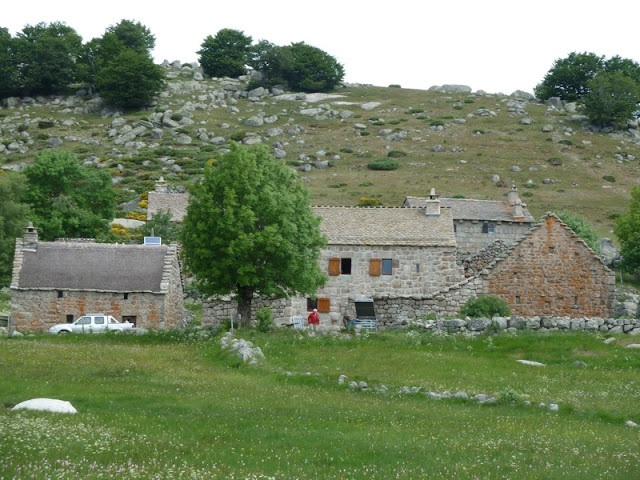 A bit later we reached an old transhumance hamlet and stopped for lunch. 3 of the buildings had been converted to rustic holiday homes and a small procession of annoying 4 by 4's reminded us that this was the start of the French bank hoIiday weekend. 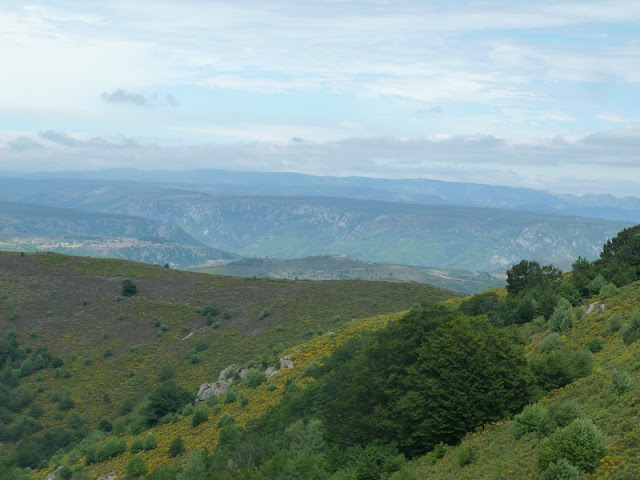 We finally reached our highest point and eventually struck off on a path going north through lovely beech, oak and ash forest, starting to gently descend after a while with fantastic views of the Cevennes to the north and the Alps in the distance to the East. After a few miles of this the trees gave way to heather and gorse moorland with huge granite outcrops, still dropping down slowly but lots of ups and downs over various lumps of granite. The final leg of the walk felt like it was never going to end, straight down on a steep stoney track which was tough on the feet after a long day. Finally reached some tarmac and then an easy stroll into the pretty old town of Villefort and our hotel. Christine didn't mention that she nearly came a total cropper. 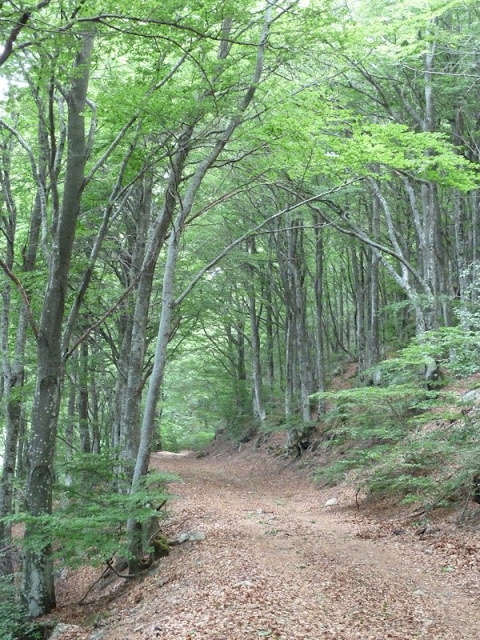 Flying down the mountain and going through a rocky patch with beech trees, she put her foot on a stick, it flew up and caught her other foot. For the next 10 metres she resembled Tom from Tom and Jerry with legs spinning on some butter except that this was sloping butter. Amazingly she managed to stay on her feet but it was a scary episode. Too slow with the video mode on the camera I'm afraid. Hope you enjoy your stay at the Hotel La Balme. We stayed there twice at start of one stage and at the end of another and M. Gomy's cooking is indeed superb.